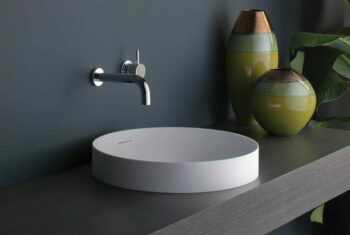 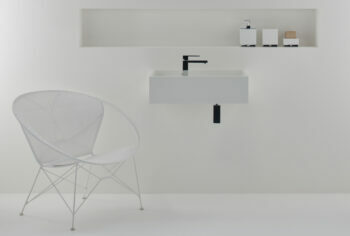 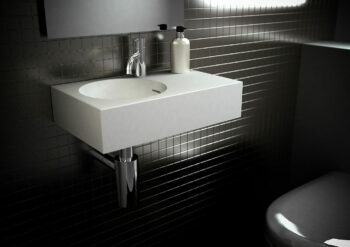 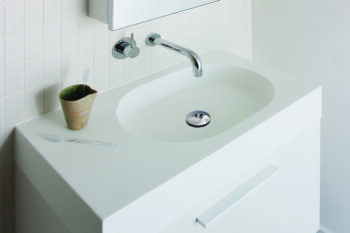 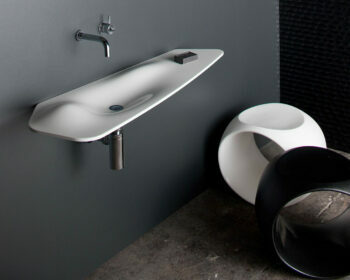 The CDesign 1620 double wall hung basin is an uncomplicated yet timeless design. 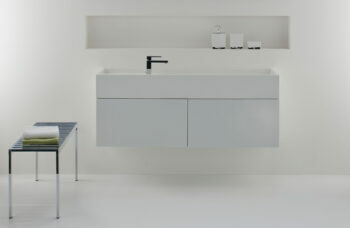 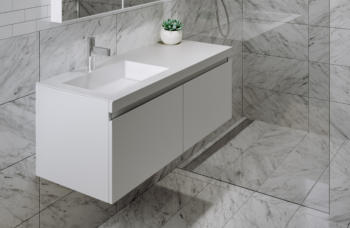 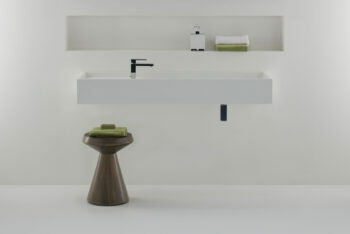 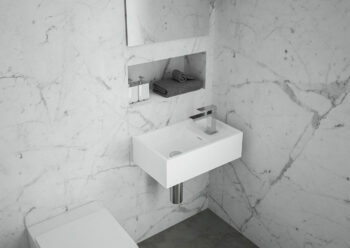 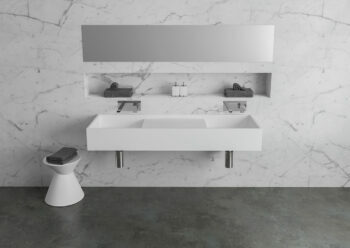 Created from solid surface, the CDesign 1620 double basin offers adequate bench space and with the understated detailing of the basin provides you with a functional yet stunning piece for your modern or traditional bathroom. 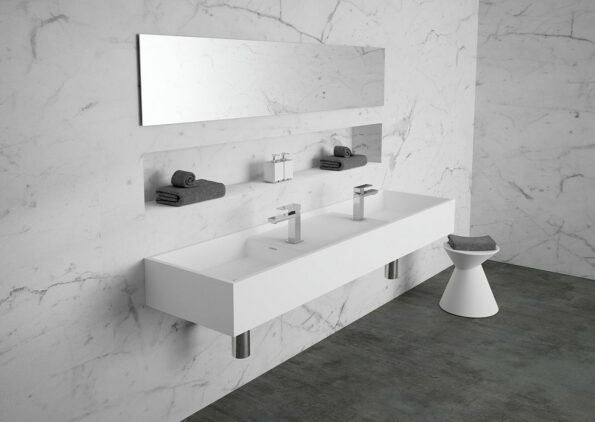 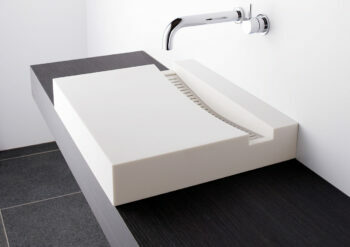 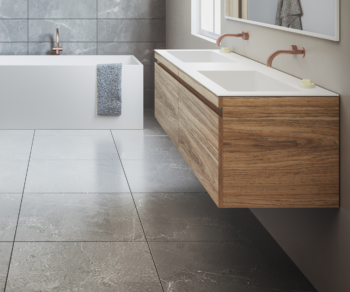 Manufactured from solid surface it has a smooth matt finish that is exceptionally hard wearing, durable and is also available with softskin options. 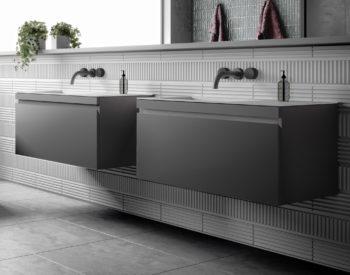 The CDesign 1620 double can be wall mounted or installed with the corresponding CDesign furniture with wall or hob mounted taps. 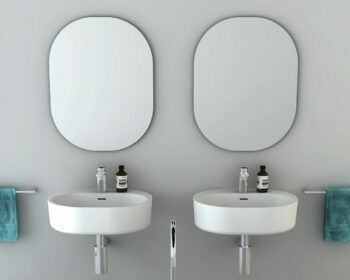 For ultimate flexibility it can be supplied with or without tap or fixing holes and is supplied with a polished chrome pop up plug and waste and wall basin fixing bolts. 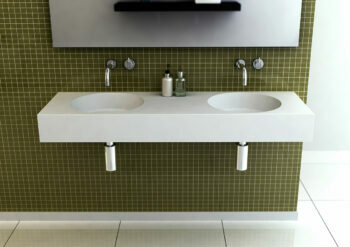 The CDesign range is also available in Micro 485, 620, 1330 and 1330 Double.